Ever been curious about how popular Mud Pulse Telemetry works? 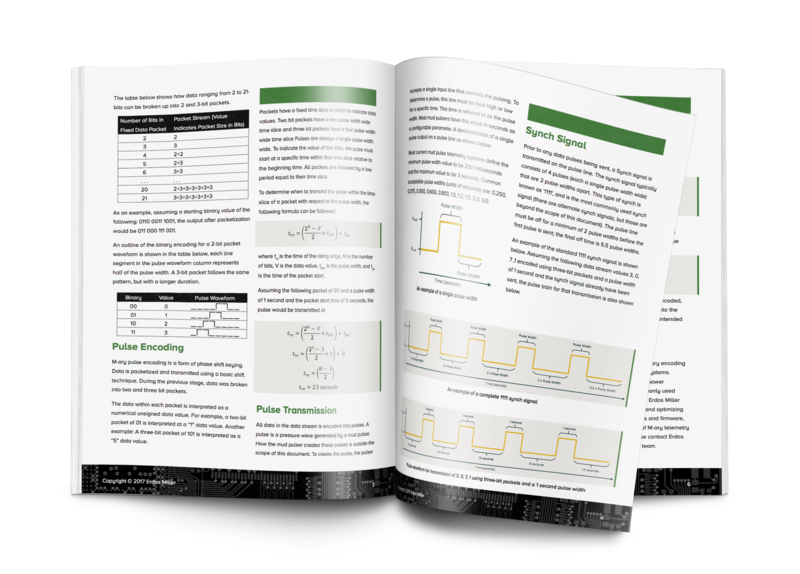 This Guide goes over the basics of the popular M-Ary Telemetry format which is used by many vendors and represents a de-facto standard. For those unfamiliar, Mud Pulse Telemetry is encoded data which is transmitted using pressure waves from a downhole tool to an uphole receiver. You read that right, we encode binary data in mud! How the encoding, decoding, and packetization processes work. How pulses are encoded, transmitted, received, and decoded. Graphic examples, and everything else you need to get started.